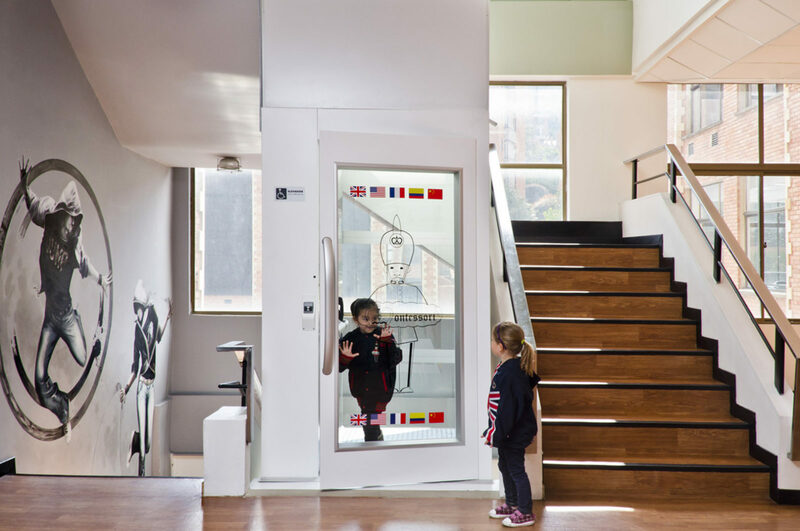 This Cibes A5000 is installed in a Montessori School in Bogotá, Colombia. The shool is the first of the region to offer staff and pupils the comfort of a lift. 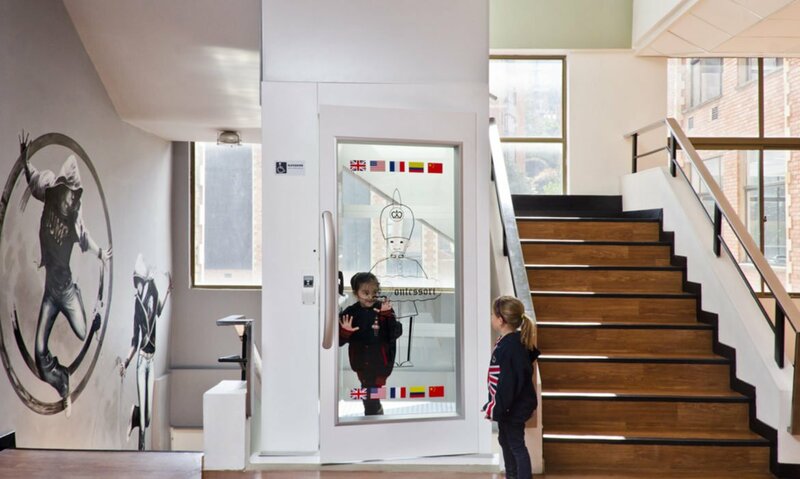 The A5000 platform lift links the library and auditorium to the rest of the building and is used by staff and pupils every day. 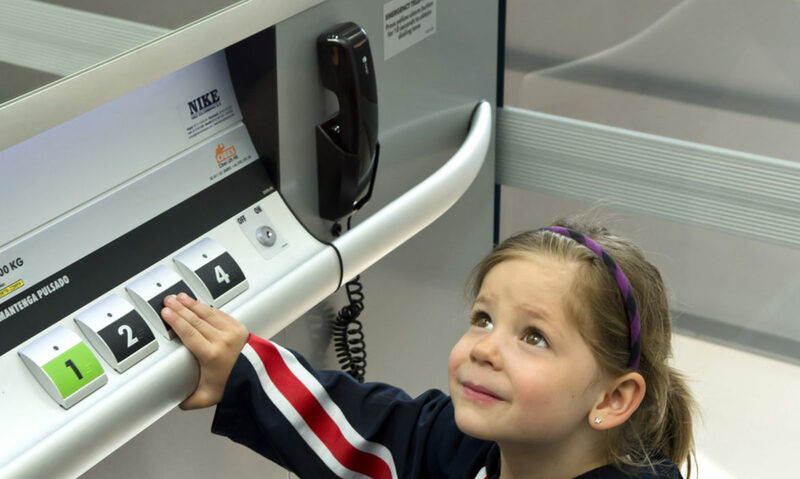 Cibes lifts are safe and easy to use, even for small children. 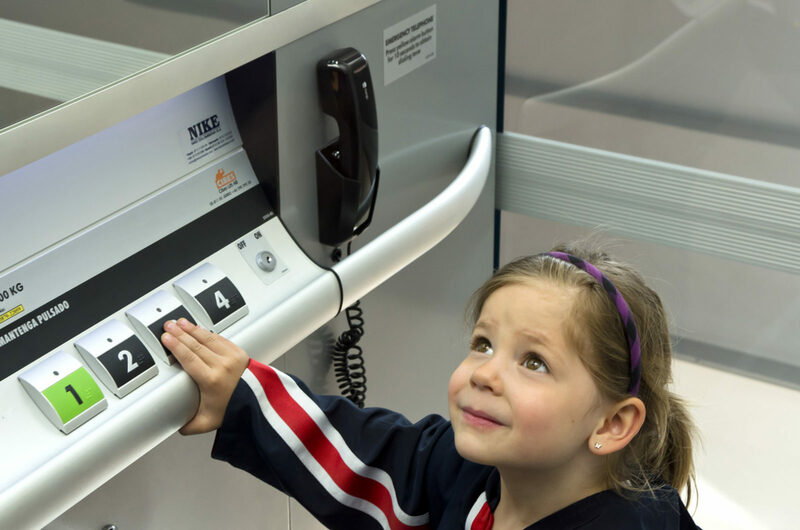 The auto lock system allows the staff to control the use of the lift. 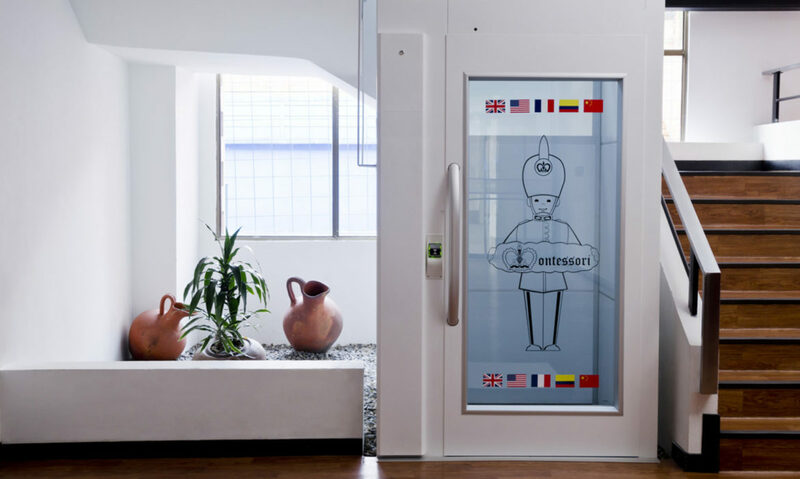 To preserve a maximum of space, this Cibes A5000 lift is fitted at the centre of the staircase. The glass shaft and panoramic doors of the lift preserves the natural light of the building. The lift links all floors of the school-building, providing comfortable access to every room.